The Alternative Resource Energy Authority, (AREA) an intra-municipal partnership involving the Towns of Antigonish, Berwick, and Mahone Bay, on the 10 turbine wind project is looking to diversify. 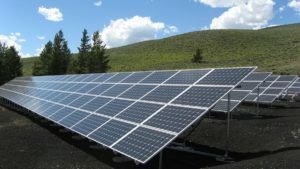 Antigonish Mayor Laurie Boucher said they started investigating the option of solar gardens. She said AREA staff are looking into the idea, instead of putting of their eggs in one basket. She said they are hoping this will boost the percentage of green energy used within the towns. At the moment, they are at 40 per cent. Boucher said the goal is to have a solar garden in each of the participating municipalities. She said they are also looking at importing energy from outside sources in the hopes of buying when it is most lucrative to AREA. The mayor said she is proud of AREA staff for the work they put into the projects.